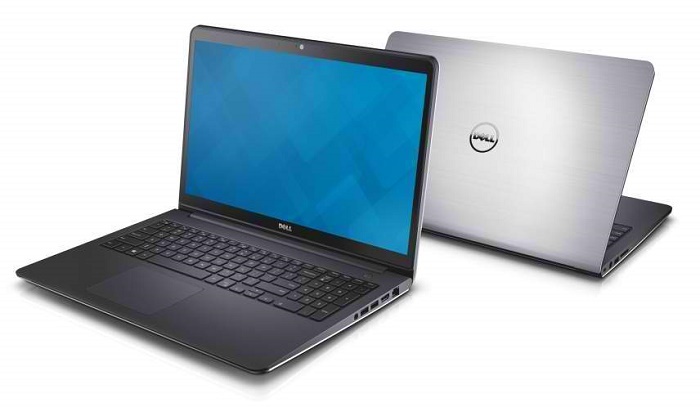 The Dell Inspiron 15 5000 5548 is the latest series of the popular Inspiron 5000 15.6-inchn mainstream notebook PC. In fact, it is just a refreshed version of the 5547. As the main difference, Dell’s 5548 features the recently released 5th Generation Intel Core “Broadwell” series processors instead of the 4th Gen Core “Haswell”. Broadwell brings a lower power consumption, and somewhat better performance of the CPU itself and its Intel HD (5500) integrated graphics. At the time of this writing, the Dell Inspiron 5000 5548 is available only with the 5th Gen Intel i5-5200U processor with the HD 5500 integrated GPU. The laptop is also expected to be available with a faster Core i7 chip and optional AMD Radeon M265 and M275 mid-range dedicated graphics. Another upgrade is inclusion of the new Intel RealSense 3D camera technology. In addition, touchscreen is supported on the whole notebook series, instead of being just an optional feature. The rest of the notebook remained the same. The 0.9″ thin chassis with a black plastic keyboard deck and sivlerish aluminum lid is unchanged, as well as screen resolution which is either 1366-by-768 or 1920-by-1080 pixels. Sadly, IPS wide viewing angle display technology is missing. System memory support goes up to 16 Gigabytes, while hard drive storage is 1 Terabyte large. Both RAM and HDD are user upgradeable via doors on the bottom of the casing. The Chiclet style keyboard provides key backlight as an option and is spill-resistant. The 5548 has stereo speakers, a 2-megapixel webcam with built-in RealSense3D on the front bezel, two USB 3.0 and one USB 2.0 ports, an HDMI video connector, multiformat media card reader, Wi-Fi and Ethernet LAN network connection, and Bluetooth. Intel’s Wireless Display technology is optionally available. The laptop comes with either 3‑cell 43.50 WHr or 4‑cell 58 WHr battery. There is no info on battery life, but a good indicator of it could be the battery life of the previous verison. It lasted more than seven hours with the 58 WHr unit. 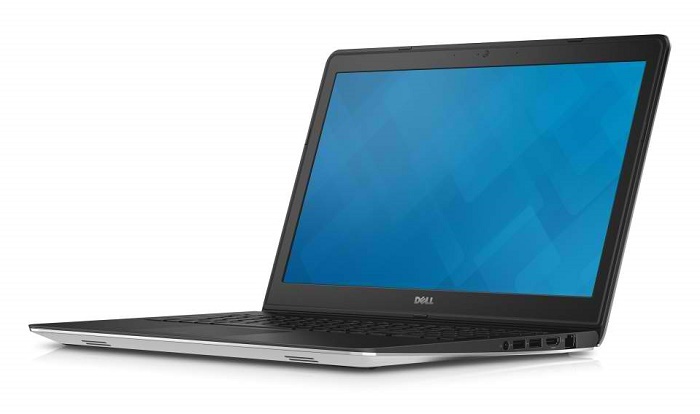 Dell’s 5548 weighs in at 5.3 pounds, which is a usual weight for a mainstream notebook with a 15.6-inch display.